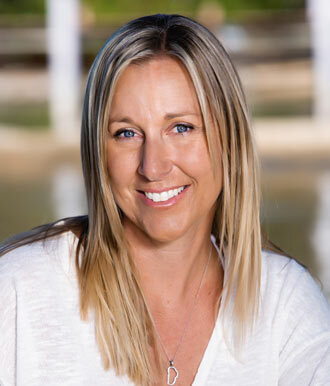 There are so many different forms of home ownership at Lake Tahoe: Old Tahoe cabins, lakeview homes, golf course estates, ski-in/ski-out residences, and condominiums… but no form of real estate in Tahoe can compare to living ON the Lake itself for lifestyle or prestige. Imagine life on the clear blue waters of Lake Tahoe. For many, it is an aspiration. For the fortunate, it is a reality. For the most fortunate, a lakefront property with legally recognized pier, buoys, or other boat moorings is the pinnacle of Lake Tahoe homeownership. 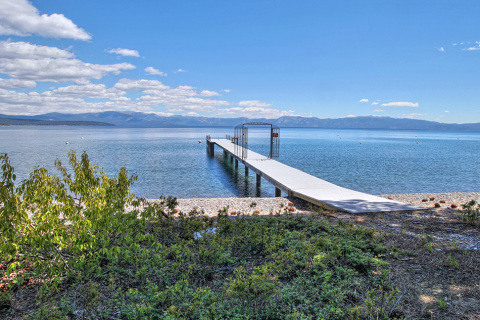 A private pier can increase the value of a Tahoe lakefront property $500 ,000 to $2,000,000. A $2M pier will offer boat lifts, covered storage/boat house, and possibly a rock crib providing a sheltered mooring for your boat. Tahoe lakefronts that do not have piers are less desirable as it is nearly impossible to obtain permits for a new pier due to past TRPA regulations, and now current litigation over a revised plan. In 2008, The Tahoe Regional Planning Agency (TRPA) adopted new shorezone regulations, setting a development cap on new buoys and piers and established mitigation measures, making new rules more protective than previous ordinances. The intent was to better manage existing piers and buoys while capping future additional development. TRPA then began a permitting and registration process, required under the agency’s shorezone ordinances. The program was to help fund much needed enforcement on the lake to address the proliferation of unauthorized buoys on Tahoe, something lakefront owners had been requesting for years. Orange tags were issued on non-licensed buoys and the owners of those buoys went through a modified permit application process that did not require a site survey, bringing many mooring and pier owners current, at least with California State Lands, which is one of the governmental entities that requires a lease on piers and moorings on Tahoe. In 2008, The League to Save Lake Tahoe filed suit after the TRPA adopted its new policy, alleging that the environmental analysis violated the law by including all existing buoys, legal and not legal, and failed to fully consider the adopted policies effects on Lake Tahoe. In 2010 a judge made a ruling that indeed, the TRPA’s environmental policies were insufficient in its analysis. With that, the TRPA is back at the drawing board to update shorezone regulations which cover piers, buoys, and structures on Lake Tahoe. In 2012, the decades-old skirmish over shoreline development on Lake Tahoe took another turn when a federal judge tossed out rules allowing the building of more than 100 processed private piers and nearly 1,900 mooring buoys in the lake’s famously clear waters. Today, certain pier projects such as pier additions and boat lifts, which are not in fish habitat, are being processed only. However, brand new piers and buoys fall under the League lawsuit involving the shorezone and until the TRPA rewrites their environmental document and adopts new ordinances, piers and buoys are on hold. Several years ago the new pier policy was that 10 piers a year could be processed, with piers rated for multiple use of three families or more getting the highest priority. However, in order to build what is being or is processed, this litigation needs to be settled. Is the premium for lakefront property with pier and buoys going up as a result of the scarcity created by the past 5 years of litigation? You bet. Having these amenities are a must for most lakefront property owners. Properties with these waterfront features have been in high demand since last December of 2012, when the lakefront real estate market began a significant turn-around. That month alone, we saw over $44M in lakefront sales. Appropriately, the rebounding market for luxury real estate happened to coincide with the ruling upholding the moratorium on processed piers and moorings. Since December 2012, we have seen 54 lakefront properties sell. That equates to $188,000,000 in lakefront sales. The high mark is $20M and average is $3.5M. Tahoe Mountain Resorts just closed a lakefront in historic Brockway Springs for $4.7M, with a processed three family use pier that the owners will patiently wait to build. However, TMR does have a split lakefront at a fraction of the cost….WITH a ½ interest in a licensed deep water pier, plus 2 buoys! This home at 3135 West lake Boulevard also has a gated beach on prestigious Hurricane Bay, just a bike ride to everything on the West Shore. This is a true value at $1.875M. What are the pier and buoys worth alone?